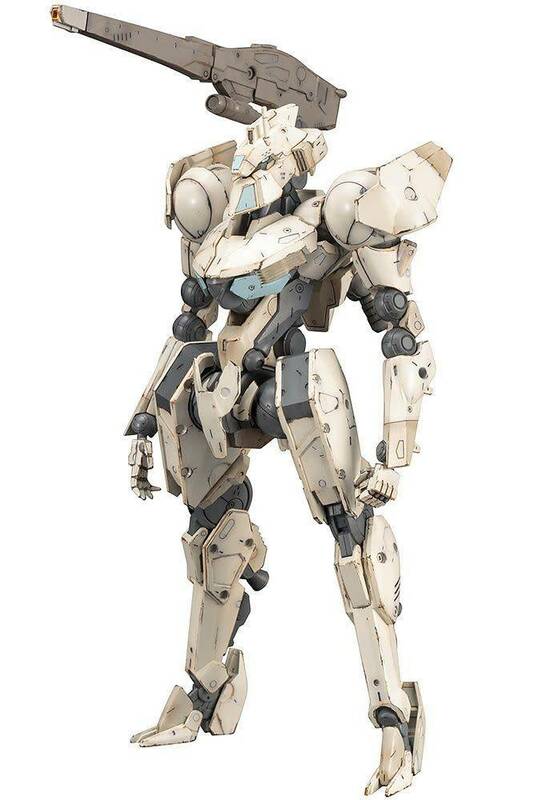 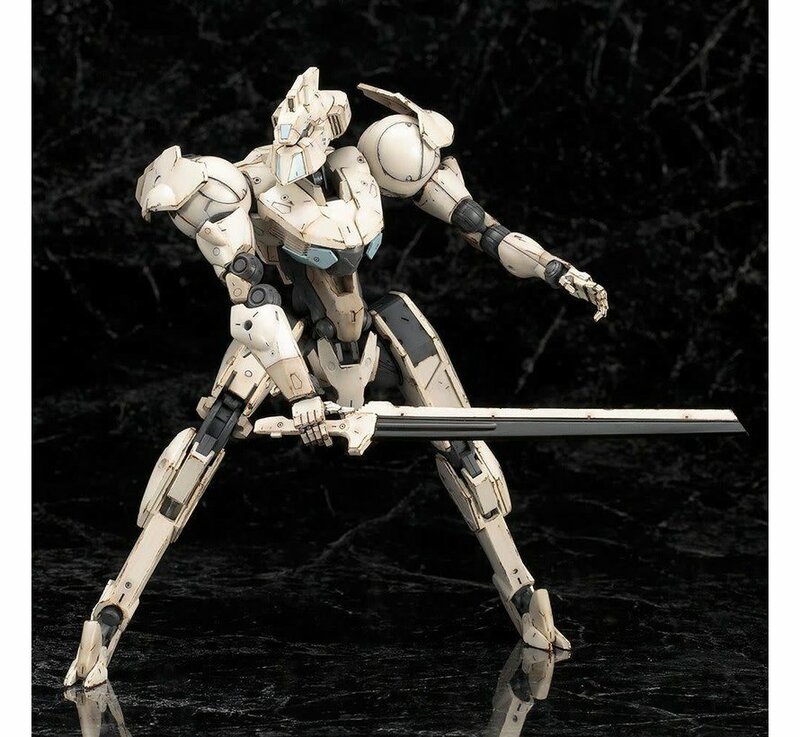 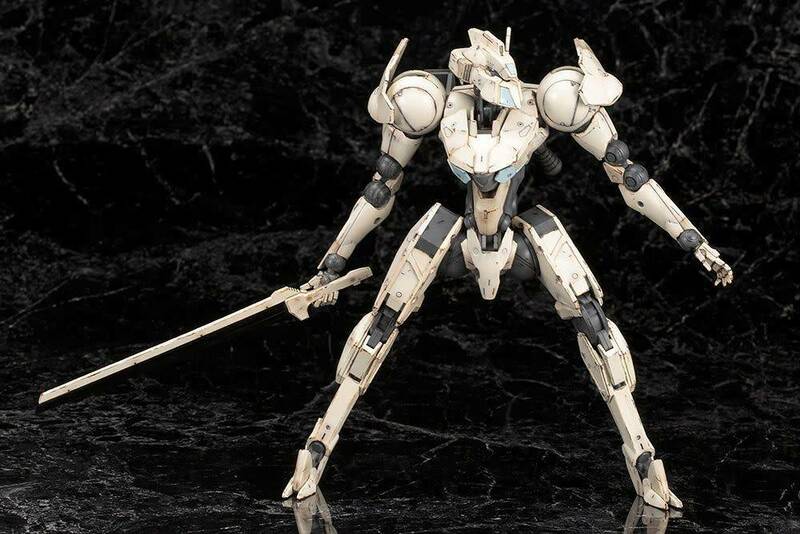 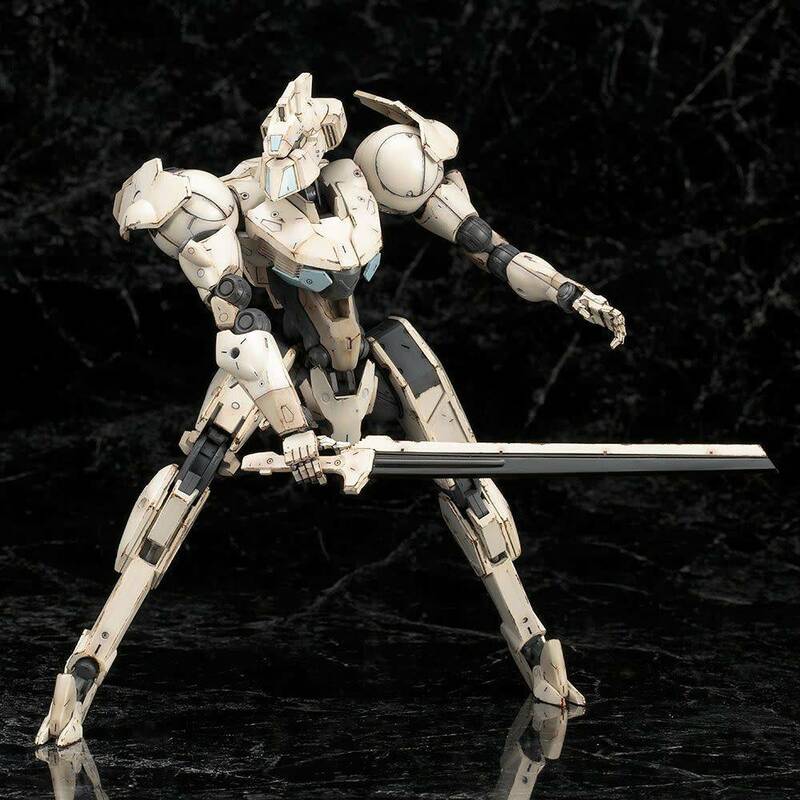 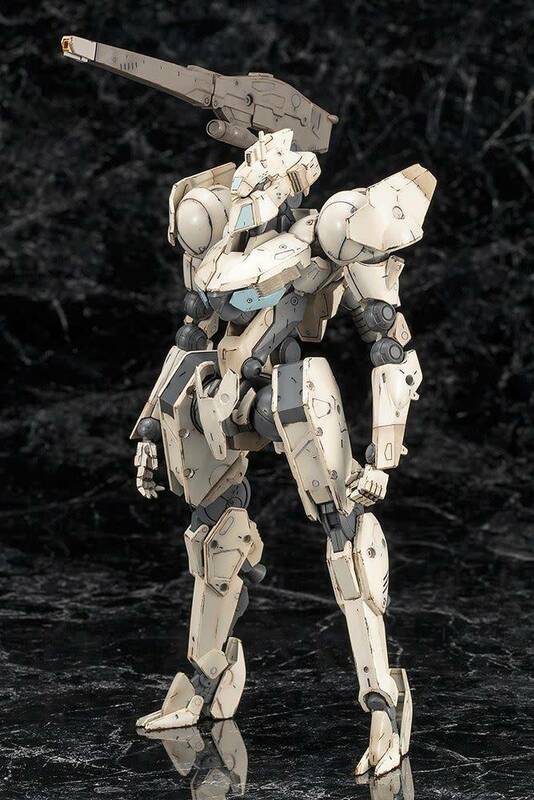 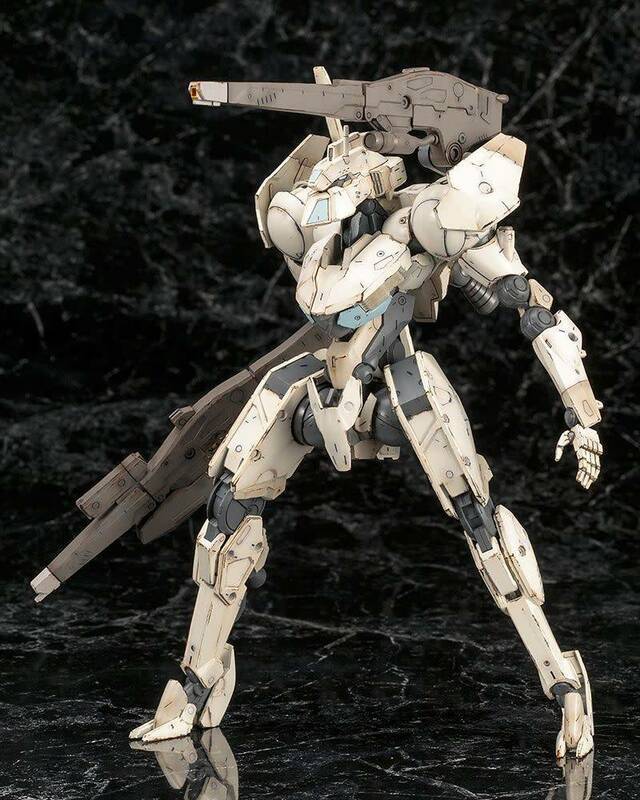 Byakko from Kotobukiya's Frame Arms model kit lineup will be about 19cm tall and fully posable once assembled. 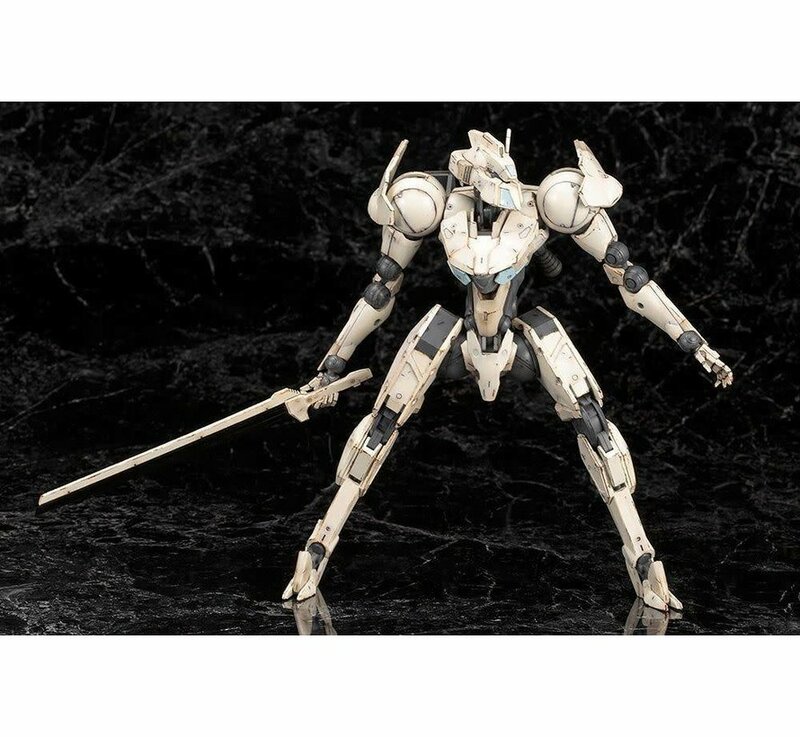 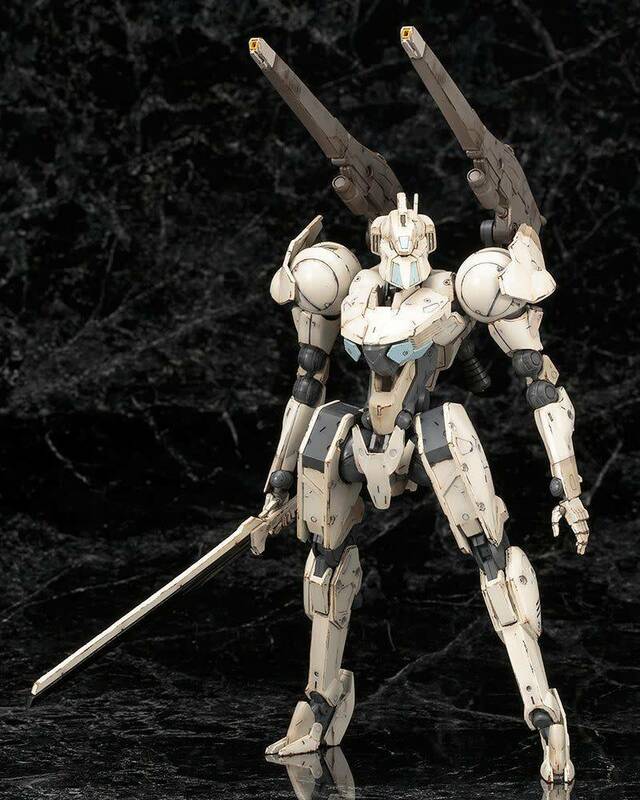 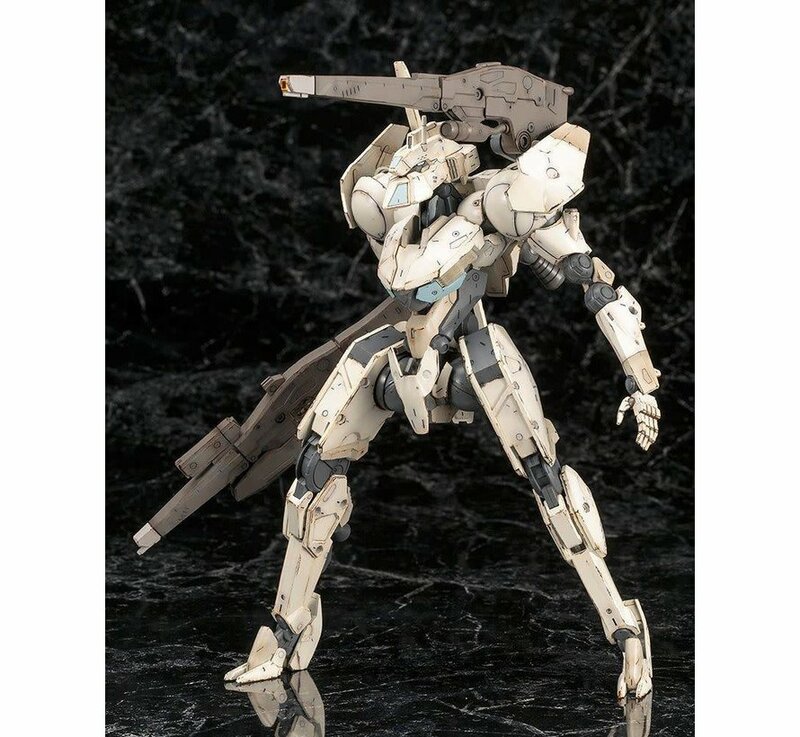 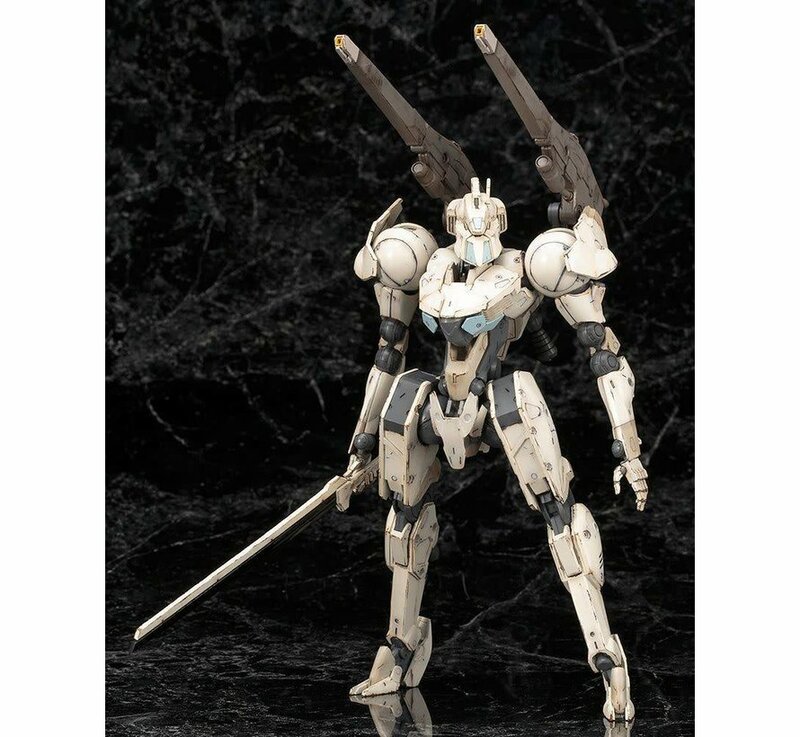 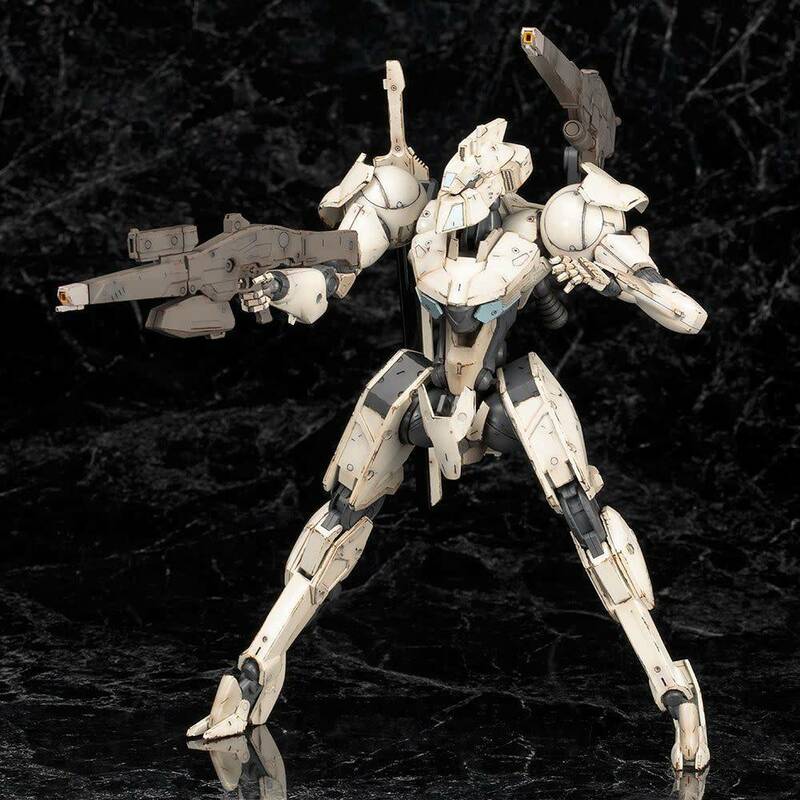 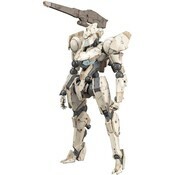 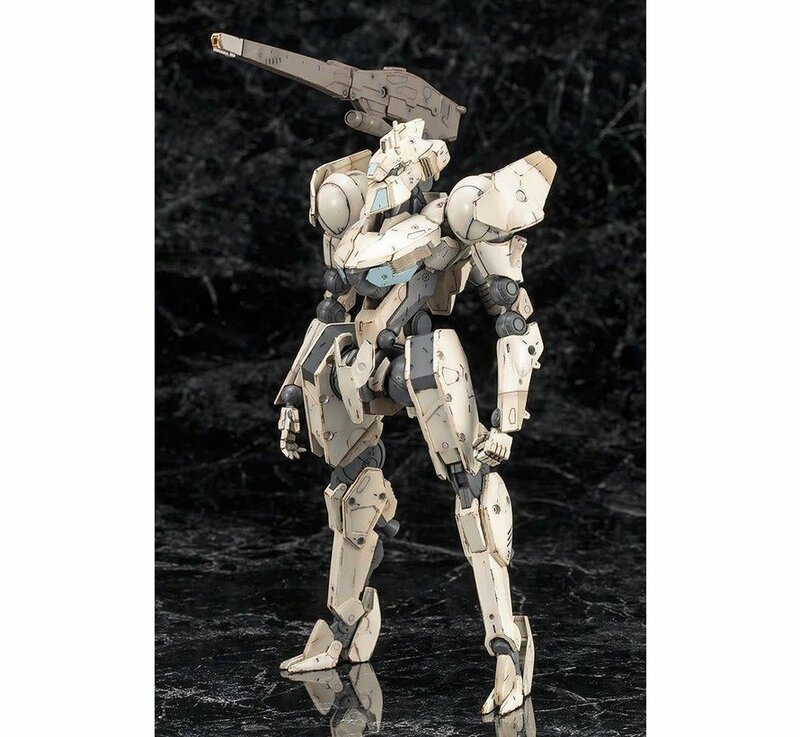 It comes with a shoulder-mounted cannon, a rifle and a sword, and like all Frame Arms kits, it can also use armor and weapons from other kits in the line! 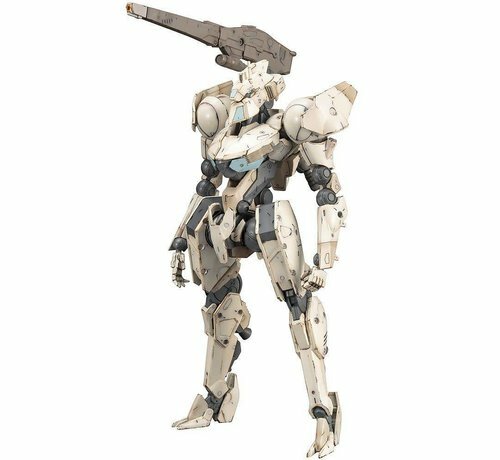 Note: This kit features mostly snap-fit assembly, but some parts may require glue.